Colombia is a country of regions, it has a privileged location in the planet, as is in between the tropics of Cancer and Capricorn and right on the equatorial zone. The mountain range of the Andes traverse the country from south to north divided in 3 different ranges, known as cordilleras. It is one of the few countries in the world to have coasts over 2 oceans, the Atlantic and the Pacific. And is also privileged to be one of the five countries (Brazil, Venezuela, Perú, Ecuador and Colombia) that shares the Amazon rainforest. It also has islands and sea territories in both the Caribbean and the Pacific seas. 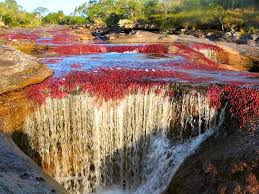 Because of this and many other factors, Colombia is the second country with more biodiversity in the whole planet.